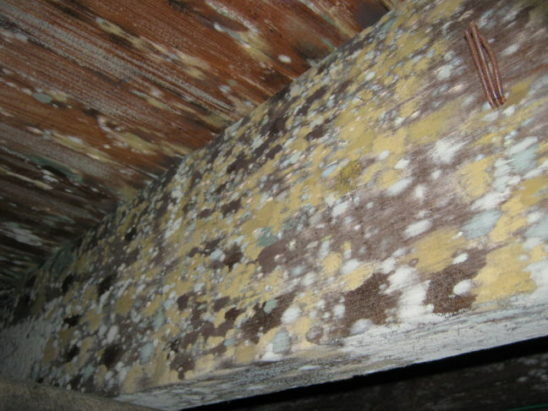 The number one question about mold removal we get on a daily basis is: Why can’t I just remove the mold myself? The answer is, you can. But a better question is, do you really want to risk it? 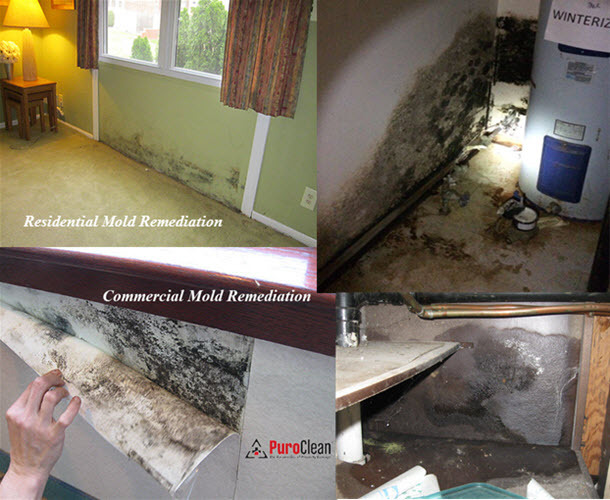 There is so much information on the web these days on various “how to” sites about mold damage and mold removal. Some of the information is accurate, but most of it is wrong, misleading, and in some cases downright dangerous. Imagine you have a summer vacation home. 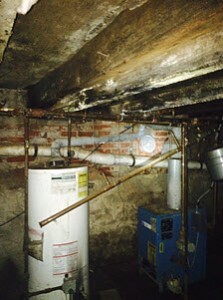 Last winter, the water heater burst. Water poured into the basement for weeks. When you found out about it, you shop vac’ed the water and plugged in a dehumidifier and left for the rest of the winter. Now, it’s Spring. You’d like to sell your property. So you return to your summer home and notice all sorts of fuzzy things growing. 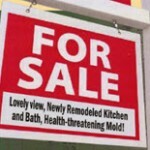 You know that before you can put the property on the market, you have to get rid of the mold. You look up various “how to” articles on the web about mold removal. Lucky for you, the mold is just in the basement. Armed with the information you read on the web, you feel confident it’s a problem you can take care of yourself. So, you put on your old jeans and T-shirt, grab some gloves and a spray bottle with bleach solution. 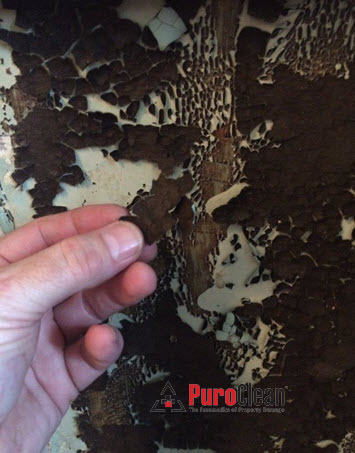 You start spraying the mold with the bleach solution and wiping down the walls wherever you see mold. At the end of the day, all the fuzzy patchy stuff is gone. You go upstairs, pop open a cold beer and sit on the couch for a little R & R and watch TV. You decide to forgo a shower because you’re just too tired, and well, you smell like bleach so you must be pretty clean, right? The next morning you take a shower, and drive away with a feeling of satisfaction for a job well done. When you get home, you contact your realtor and put the property on the market. Within a few weeks, you have a prospective buyer! But, unbeknownst to you, the mold spores, once confined to the basement, traveled upstairs with you on your jeans, sneakers, and T-shirt. The spores got transplanted to the living room rug and couch, the mattress and pillow in the bedroom upstairs, and the damp towel hanging in the bathroom. 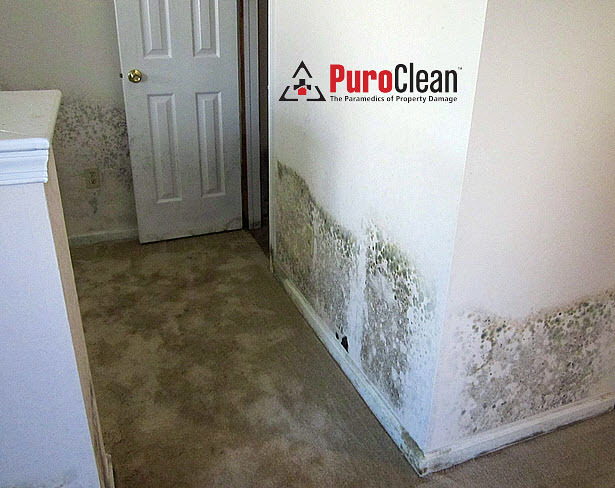 The prospective buyer of your property gets a home inspection done that reveals elevated mold spore counts throughout the home. And you scratch your head and wonder what could have gone wrong? 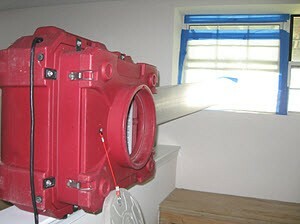 The problem is, armed with only information on the web, and without the knowledge, proper training, and the right equipment, (see the IICRC S-520 Standard and Reference Guide for Professional Mold Remediation) the average homeowner, landlord, or business owner doesn’t know about mold removal. 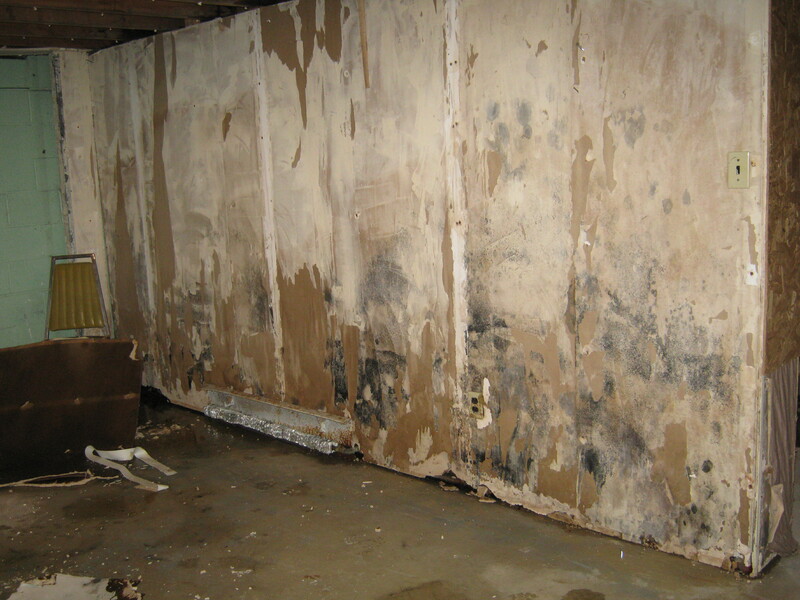 Most people don’t know there are 16 steps you must take to ensure successful mold remediation. 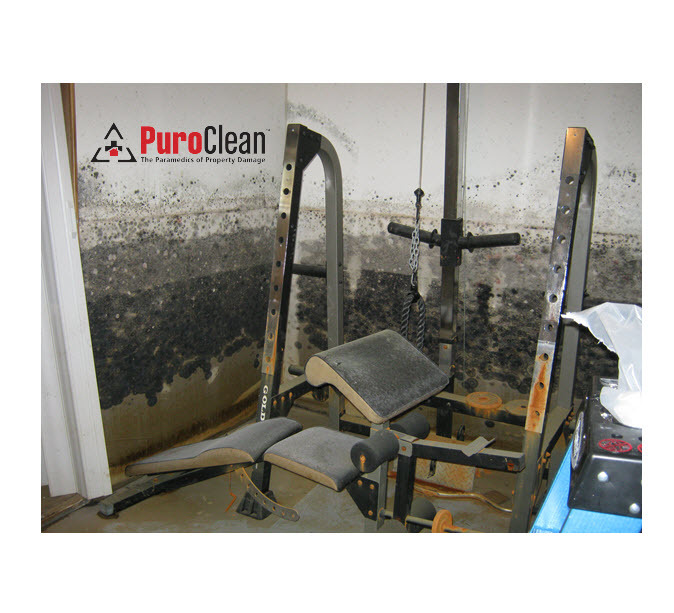 So, by taking matters into their own hands, people often make a mold problem worse by following the bad advice about mold removal they found on the web. 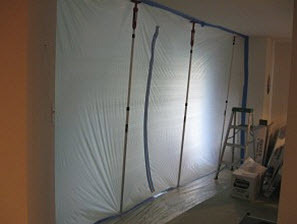 The only way to correctly remove the mold is to first build a containment area using negative pressure while wearing the correct personal protective equipment. The negative air vents any mold spores liberated during the mold removal process outside where they belong. In addition, a proper containment area also serves as a decontamination area before bringing bags of mold contaminated building materials outside. Professional personal protective equipment includes masks, gloves and disposable Tyvek suits. Stripping off the PPE in the decontamination chamber keeps you from transporting the mold spores to the rest of the building. A. 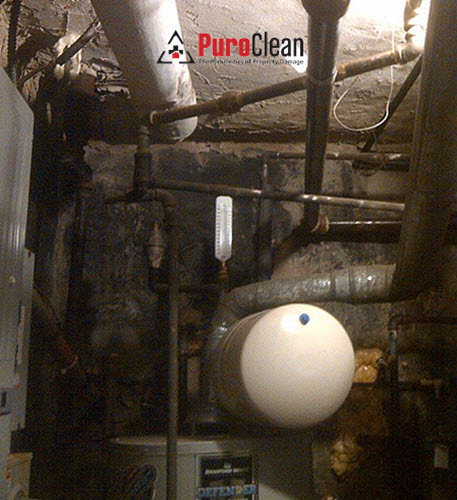 First, vacuum ALL surfaces (floor, walls, ceilings – every exposed area) in the contaminated room with a HEPA vacuum. 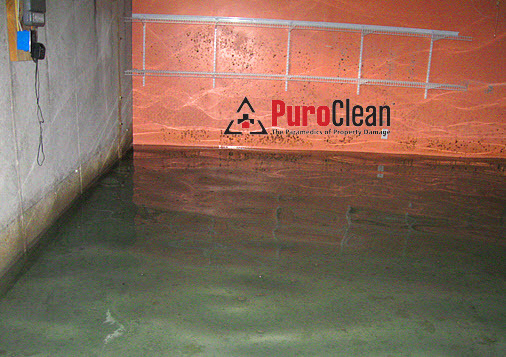 C. The whole area gets HEPA vacuumed a second time to remove any spores liberated during the cleaning process. Sure, bleach will whiten an area and make it look better. 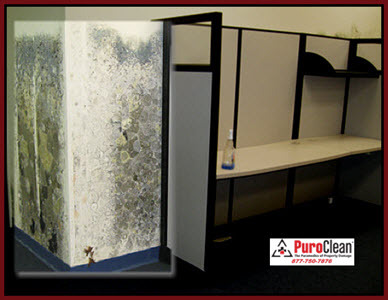 But bleach doesn’t kill the mold or remove the hyphae – really small particles produced by mold. 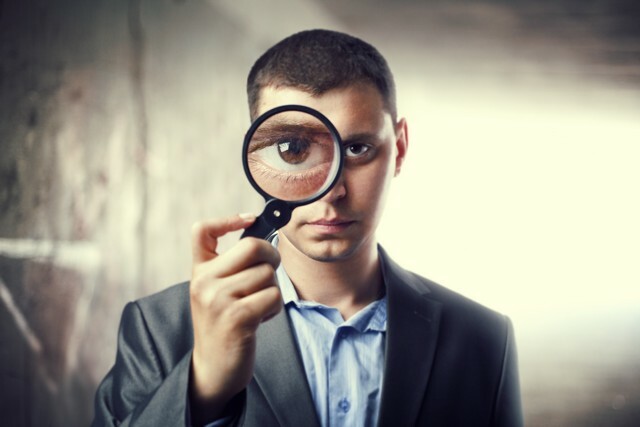 When you have questions about mold removal, don’t just rely on the information you get from the web.